Now choose the Master .mdf file from the machine and then click on Open button. 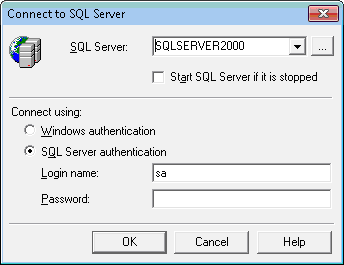 The software enlisted all the users that were created in SQL Server. 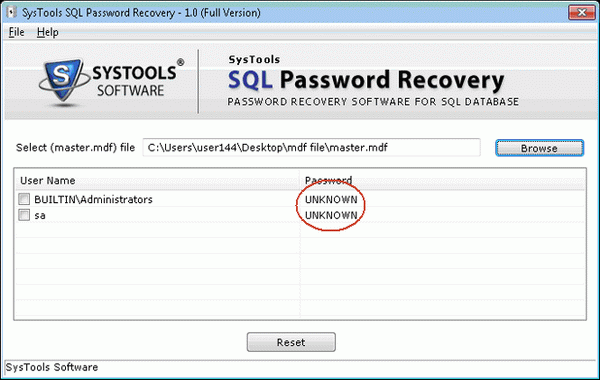 Unknown and Empty values were carried out by password column. Empty means the database is not password protected. 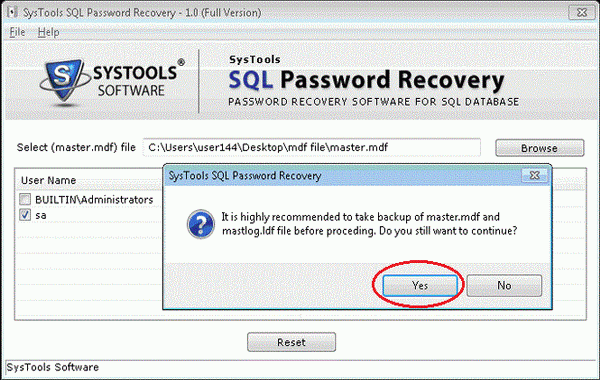 Note: Before proceeding you must take the backup of Master.mdf and master.ldf in order to avoid any kind of loss. 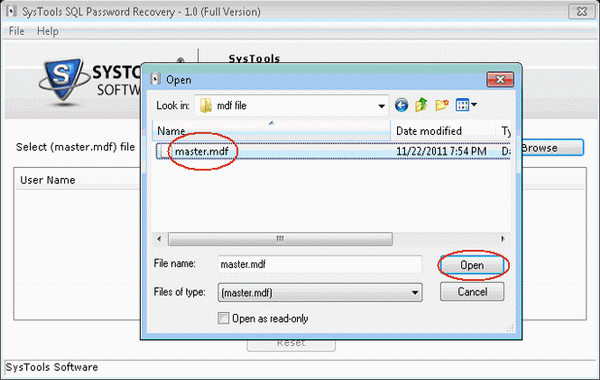 After selecting the particular user name to reset the password click reset button the prompt window recommends you to take a backup of Master .mdf file and Master .ldf file. If already taken then click on Yes Button other need to take. 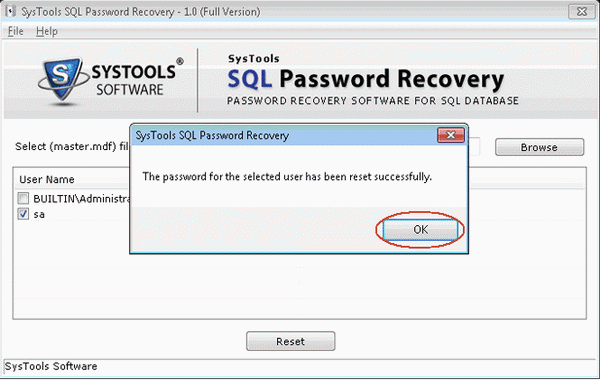 The software will set an empty password for the selected user. Click Yes and go for Reset option. 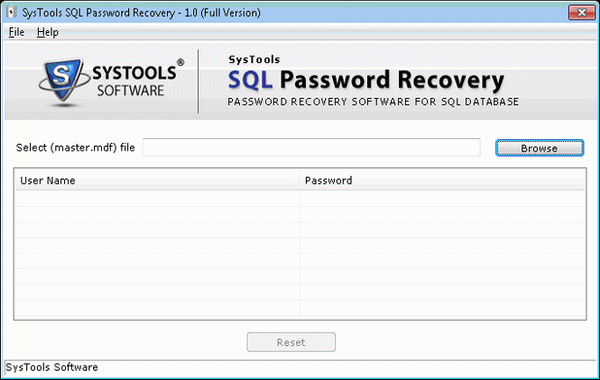 Empty password has been set by the software for the selected users.